Pembrokeshire is one of the most beautiful and rugged counties in the UK and the only county to have a fully protected coastal national park. 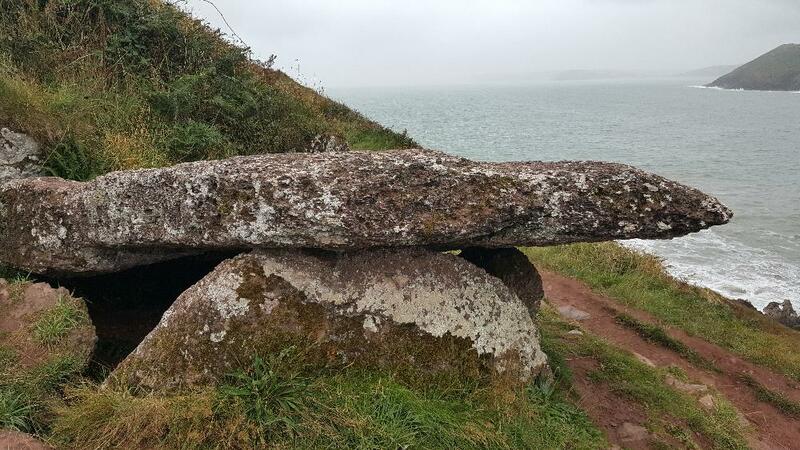 There are numerous castles and ancient neolithic settlements dating back thousands of years, some of them right next to the coast path overlooking the ocean as with the burial chamber at Manorbier. The Preseli Hills, in the centre of the county are a range of low level hills, great for hiking and exploring. This area is where the ancient monoliths of Stonehenge come from, also known as 'blue stones'. To this day archeologists debate on just how the ancients transported the stones the long distance to construct Stonehenge. 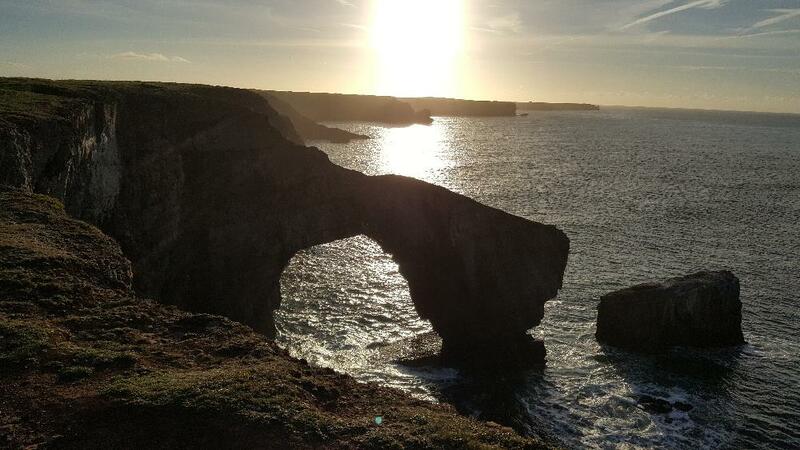 Spectacular 'stacks' can be seen at Stack Rocks near Castlemartin, resulting in stacks in various stages of erosion and some amazing cliffs and sink holes on the cliff edge, just be careful if you are walking at night! These stacks are home to thousands of nesting seabirds in the spring and summer months and are very impressive to look at. If you enjoy surfing, Pembrokeshire rivals Cornwall both in terms of quality of beaches and waves as well as number of surfable beaches, but best of all, without all of the crowds Cornwall can get. 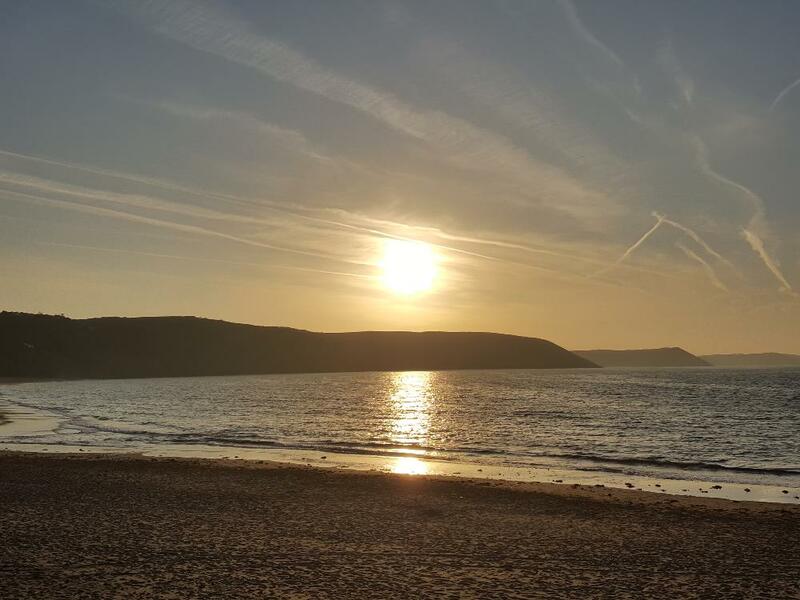 Most popular beaches include Freshwater West and Manorbier, but if you have the will you can take your board along the coast path and scramble down to pretty much any beach and have a go. 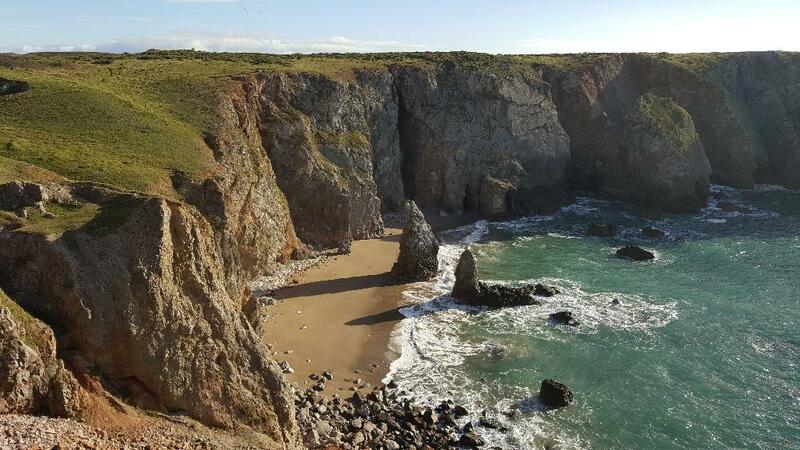 The seas around Pembrokeshire are abundant in marine life including all manner of marine fish, ,jelly fish, crabs, lobsters, as well as seals, porpoise, dolphin, and even sharks and whales. 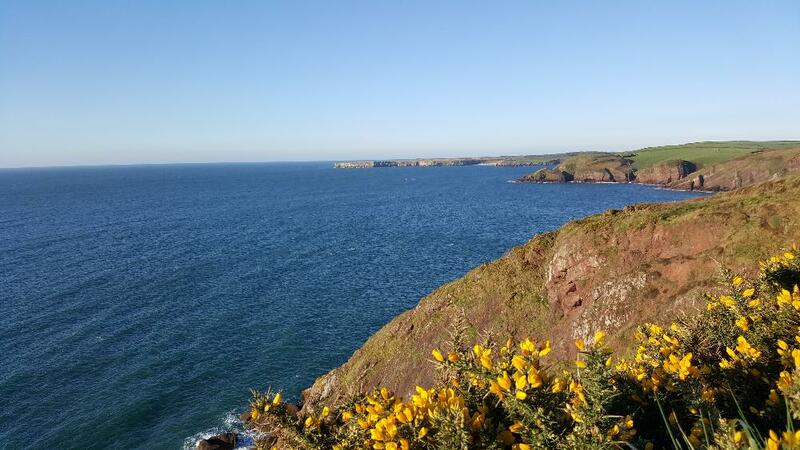 There are numerous islands around Pembrokeshire that are accessible by boat on day trips or longer: Caldey Island, Skokholm, Skomer and more. Many are nature sanctuaries and are great places to see puffins or seals during the breeding season. 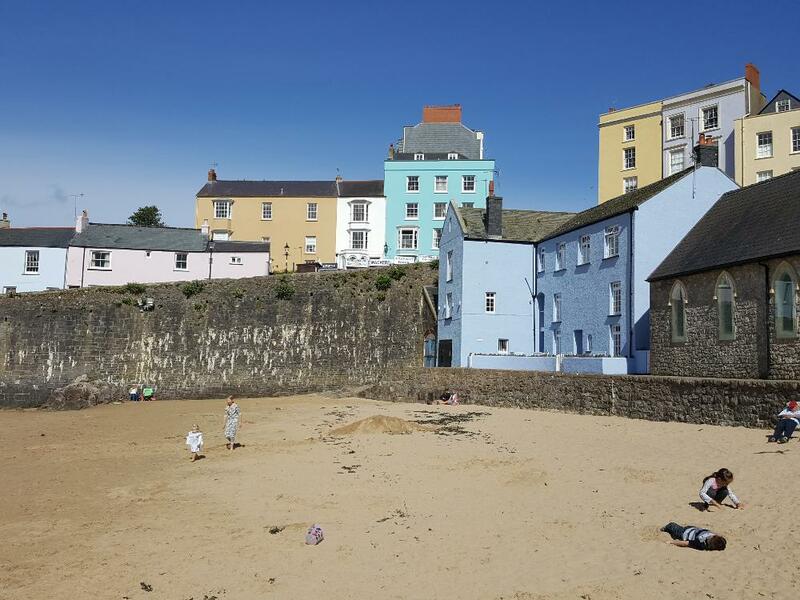 Couple all of this with Pembrokeshire's attractive and bustling seaside towns such as Tenby, Saundersfoot and St. David's, the UK's smallest city with its impressive and ancient cathedral, and you'll soon fall in love with this amazing part of the UK! 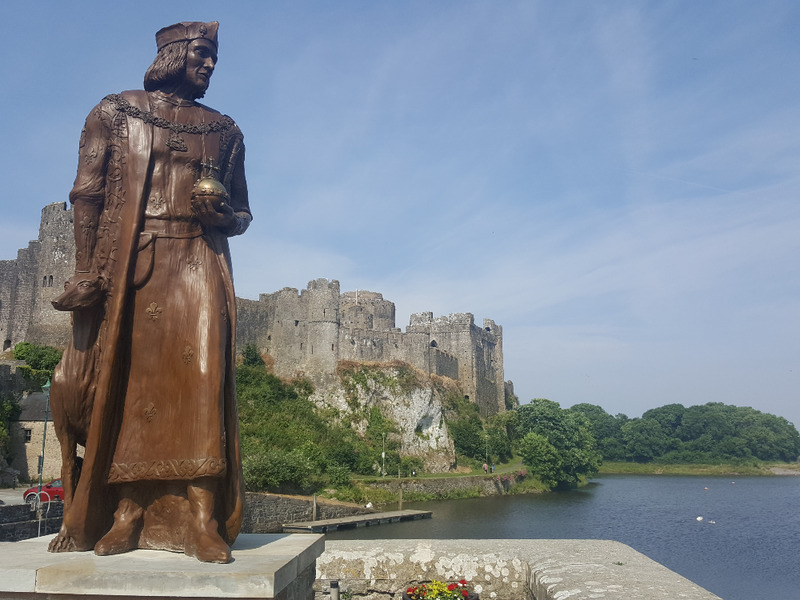 Pembrokeshire is accessible easily by road and rail from anywhere in the UK; or by sea from Ireland, with the ferry landing at Pembroke Dock. Take the M4 all the way into Wales and then continue as far as you can go, to Carmarthen. At Carmarthen you turn left and continue west. From the Tenby turnoff/roundabout you will see signs for Tenby, Saundersfoot, Pembroke, St. David's and other key destinations in Pembrokeshire. Perhaps easiest would be to get to Neath and then head west on the M4 to Carmerthen. From there follow the signs for Tenby, Saundersfoot or Pembroke. One alternative and very scenic route os via Llandeilo in mid Wales. Head up the M5 to the Severn Bridge, from there into Wales on the M4. Head all the way to Carmarten then follow the signs for the west - Tenby, Pembroke, St. David's etc. For more information and to book a place on our sea swimming tours, contact us here and we will be in touch.